Northbridge Industrial Services plc (LON: NBI), the industrial services and rental company, today announced its preliminary results for the year ended 31 December 2018, which are in line with market expectations. 1 Before one-off exceptional cost of £712,000 (2017: nil). “We are pleased to report results which are well ahead of the prior year and are driven by more positive conditions in our end markets. This year marked a turning point for Northbridge, with both divisions of our business starting to show signs of early recovery as the oil and gas market stabilises and the energy market, including in the renewables space, drive revenue growth. 2018 proved to be a watershed year for the Group, with signs of a recovery in both parts of the business, particularly noticeable in Tasman Oil Tools. The impact of operational gearing on trading is now beginning to benefit the Company, as revenues, particularly in our hire operations, begin to improve. After a period of significant cost reduction, much of our operational costs remain fixed, and in particular establishment costs and depreciation, which are less sensitive to volume. This means that, as revenues improve, gross profit will grow proportionately faster. In addition, the mix between sales and rental also adds to the operational gearing effect, as our higher-margin rental revenue should recover faster than the growth of outright sales of manufactured units. Overall, the Group’s revenue improvement, year on year, in 2018 was 4.9%, but gross margin rose to 41.8% compared with 36.4% in 2017 as the proportion of rental in the mix increased. Gross profits increased by 20.6% to £11.3 million (2017: £9.3 million). Operational gearing also impacts EBITDA (pre-exceptional), and this in turn increased by 44.0% to £4.6 million (2017: £3.2 million). Costs were reduced and remain under control and pre-exceptional operational expenditure was £12.3 million, reducing from £12.9 million in 2017. Cash generated from operations improved substantially to £4.3 million (2017: £2.6 million). The combined effect of all these movements enabled us to substantially reduce pre-exceptional operating losses in 2018 by £2.4 million to £1.4 million (2017: £3.8 million). Pre-exceptional losses before tax were £2.0 million (2017: £4.4 million). The exceptional cost of £712,000 (2017: nil) arose from a post balance sheet event and relates to a full provision against a debt in Dubai from 2013 and 2014 and is explained further in note 4. Statutory losses before tax were £2.7 million (2017: £4.4 million). During the year a convertible loan note for £4.0 million was issued at a fixed interest rate of 8%. This, in conjunction with the early renewal of its banking facilities with its senior lender, Royal Bank of Scotland (“RBS”), enabled the Group to consolidate its future bank funding solely with the RBS Group. It also enabled the Group to fully repay KBC Bank and reduce capital repayments, which in turn, allows for further investment into a recovering market. The loan notes are convertible into ordinary shares in Northbridge, at the discretion of the holders, at a conversion price of 125p. Additionally, in June 2018, the Company placed a further 2 million ordinary shares to raise £2.5 million in new equity. Approximately £1.05 million of the proceeds from the placing was used to pay the outstanding deferred consideration due to the vendor of the Tasman Oil Tools companies in New Zealand. This payment was originally due on 7 January 2016 but had been deferred until 7 July 2018. Some of these funds, plus some additional borrowing, were also used to acquire a complementary hire fleet which became available as a result of the liquidation of a drilling tool rental competitor in South East Asia, for £3.0 million in December 2018. The much-improved cash flow together with the placing of new equity has enabled gearing to be reduced to 23.8% (2017: 24.5%), despite the acquisition of the drilling tool hire fleet. The electrical equipment business of Northbridge manufactures, sells and rents loadbanks and transformers, and supplies two main markets. Firstly, the developed world, where it is focused on supporting the power reliability, renewables, and power security markets and secondly, emerging markets (“EM”), where it is mostly focused on resources, typically shipyards, oil and gas facilities and mines. Total turnover during the period was £20.4 million (2017: £20.2 million), but a change in mix towards higher-margin rental saw gross profits rise by 5.9% to £9.5 million (2017: £9.0 million). Sales of manufactured units and service revenue were slightly down on the previous year at £8.4 million (2017: £9.0 million) but the underlying trend of enquiries and orders showed signs of improvement, and the year ended with the largest ever order book for the sale of manufactured equipment. This represents a sure sign of improvement from Crestchic’s emerging overseas markets as well as a continued growth in its traditional power reliability market. The business in the UK and Western Europe continues to perform well and the contract to supply the FIFA World Cup stadiums helped the rental revenue during the year. Our business in the USA continued its good progress and is expected to provide a long-term growth opportunity for Crestchic. The relocation of underutilised equipment from the Asia-Pacific region has doubled our fleet size at minimal cost. Revenue from both sales and rental rose to £2.0 million (2017: £0.8 million). We continue to look for suitable trading partners for our rental operation in order to expand our footprint whilst minimising the overhead cost of operating in North America. The continuing growth in data centres throughout Western Europe has given Northbridge two additional opportunities, firstly, in heat load management, by using loadbanks to simulate the heat from computer servers, and then secondly in managing and proving backup power sources. Global investment in this type of “big data” is likely to grow for many years to come. The more recent growth in renewable power generation in advanced economies is continuing to gather pace and has created new markets for our equipment and services. This also represents another longer-term growth opportunity for the Company, and we are currently supporting this growth through the further technical development of our products. Our oil tool rental operations in Australia, New Zealand, Malaysia and the Middle East, which suffered badly during the downturn in the oil market over the last three years, have shown some good signs of an early recovery. Total revenue in the year was £6.6 million (2017: £5.4 million). Rental during the period increased 22.5% to £5.4 million (2017: £4.4 million). The strongest performance in this business segment was Australia, which showed an increase of overall revenue of 61.4% to £2.9 million (2017: £1.8 million) and we have continued to support this growth with further capital expenditure for specific contracts. Current volumes, whilst low historically, have begun to make a significant difference to the Group’s overall profitability, and particularly to our cash flows, with the Tasman businesses now close to break-even at an EBITDA level. Rental rates still remain depressed and are not expected to recover until 2020 at the earliest. The relative stability in crude oil prices currently being experienced by the industry will, in the longer term, encourage further exploration and production. By maintaining our infrastructure and hire fleet whilst cutting costs, the Company is strongly positioned for when market demand begins to recover more significantly. The joint venture in Malaysia with our local partner, Olio Resources SDN BHD, started trading in earnest in 2018. Early results are encouraging, and the proportion of revenue generated by hiring Tasman tools into the joint venture is beginning to increase. Because of our improved trading position, and the re-financing earlier in the year, Tasman was able to purchase an entire and complementary hire fleet, at a significant discount to its new replacement value, from a distressed competitor and this, together with further modest capital expenditure, has enabled this momentum to continue. The drilling tools acquired have also been deployed in the Tasman operations in New Zealand and Australia and we have been able to establish a further Tasman location in Singapore which will service the new customers that were acquired in Singapore, Thailand and Vietnam. It is hoped that this location will begin to trade profitably during 2019. The joint venture’s total revenue for 2018 was £2.1 million (2017: £0.4 million) and the cross-hire revenue attributed to Tasman SEA from the JV was £0.4 million (2017: £0.0m) and the after-tax loss included in these accounts is £0.4 million. In the overall oil and gas market, supply and demand have appeared to reach an equilibrium following a sharp fall in crude prices in Q4 2018. This fall does not appear to have affected market activity significantly, as most of our customers’ final investment decisions had been made earlier in the year, and the oil price has since recovered. In our particular area of the market, Southeast Asia and Australasia, gas and geothermal fluids play an important and growing part in the mix for businesses we supply. The outlook for both, over the short and medium term, is positive. The need for further capital expenditure as the recovery takes hold has been much reduced by the opportunistic acquisition of a competitor’s hire fleet in the year. This in turn has also reduced the average age of our combined rental assets and has enabled us to expand our footprint and services in Southeast Asia. The ongoing recovery in the oil market, coupled with a more stable crude oil price over the last 18 months, has improved confidence amongst the majority of Exploration and Production (“E&P”) companies, which form an important part of our customer base. The additional cashflow as a result of higher crude prices has enabled the oil majors and national oil companies to pay down debt and to start a return to modest levels of capital expenditure. In the deepwater sector of the Asia Pacific region alone, where we have a strong presence, the energy analysts, Wood MacKenzie, expect capital expenditure to rise from a low of US$3 billion per annum in 2017/18 to reach US$9 billion per annum by 2020/21. Other oil and gas analysts expect drilling rates to double in the same time scale. Whilst it is difficult to be precise, this impact is likely to be felt in the sectors that both Crestchic and Tasman supply, although the timing may be different in each industry. We have seen some improvement in the important rental revenue of Tasman Oil Tools, albeit from a low base, and we expect this to continue in 2019 and beyond. The longer-term opportunities in the activities we supply in New Zealand, Australia and other countries in Southeast Asia are likely to continue to grow. We are very active in the LNG, natural gas and geothermal fluids E&P sectors which are expecting a demand boost as the nearby economies, including China, switch from a coal and oil energy base, to the more environmentally sustainable gas and renewables. For the wider Group, the short-term opportunity is mostly focused towards a recovery in the activity and revenue levels of Tasman Oil Tools. However, we are not ignoring the longer-term growth of the power reliability market and the opportunities there are equally important, particularly in the USA. For Crestchic, a return to activity in the oil market will also, in time, benefit the marine sector. The reducing levels of overcapacity in the oil and gas rig market, with substantial amounts of equipment retired or scrapped, has led to further investment planned in new rigs, tankers and LNG carriers. This is a key market for our products, and we should see some improvements over the next few years. Our services are generally engaged during the last element of power commissioning projects before the vessels are launched. The other part of Crestchic’s business, which has been unaffected by the oil and gas downturn, is involved in power commissioning and reliability testing in Western economies. The traditional use of loadbanks, to test “real-time” power output from standby power generators, has now been supplemented by their increasing use in data centres, distributed generation and frequency management. The growth of renewables will also lead to further fragmentation of the generating base, and will make the systems inherently less reliable, at a time in which uninterruptible power becomes even more important. Overall, the industries we serve are likely to continue to grow for years to come. We have recently added further equipment and personnel to Crestchic’s operation in North America. This market is potentially one of the largest in the world for our services and we are confident in its longer-term profitable future. 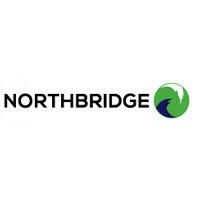 Northbridge is very well placed to benefit from the current recovery in all its markets. While remaining cash generative, we have completed our restructuring and now have a much lower cost base throughout the Group. Having retained all our operating bases during the downturn, and maintained relationships with all our customers, we expect to be able to exploit the high operational gearing inherent in our business model, and the expected additional revenue will support bottom line growth. We are now confident of the Group’s profitable and growing future in the medium to long term.